Dungeon Master's Guide - ubiq bookshop: the best place to buy books! Everything a Dungeon Master needs to weave legendary stories for the world's greatest roleplaying game The Dungeon Master's Guide provides the inspiration and the guidance you need to spark your imagination and create worlds of adventure for your players to explore and enjoy. Inside you'll find world-building tools, tips and tricks for creating memorable dungeons and adventures, optional game rules, hundreds of classic D&D magic items, and much more! - The third of three core rulebooks, this book contains tools a Dungeon Master needs to provide captivating stories and game play. 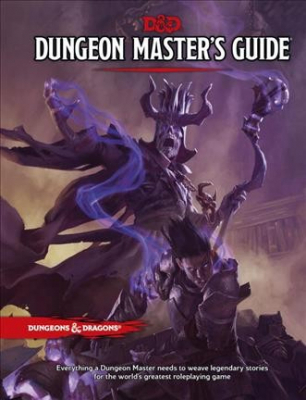 - An excellent resource for new and existing Dungeons Masters to engage in both adventure and world creation, with rules, guidelines, and sage advice from the game's experts. - Created as part of a massive public playtest involving more than 170,000 fans of the game.